Time to get caught up to what is already out. 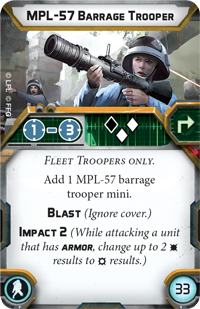 We're going to take a look at the Fleet Troopers and how they fit into your plans. Haven't had time to paint all my guys yet. Fleet Troopers are only the second Corps units that the Rebellion can bring into the fight, and boy are they a different feel than the Rebel Troopers. Where the Rebel Troopers were pretty generic around the board, with a relatively weak defensive keyword, the Fleet Troopers are an offensive short range powerhouse... if they can survive to get in to Range 2. The Fleet Trooper's main weapon is 2 White Dice per mini, with offensive surges. While this DH-17 Blaster Pistol is only range 1-2, it hits twice as hard as a comparable Stormtrooper, simply by virtue of rolling the twice the number of dice. That's a lot of dice! If you can get a fully kitted team into place with the Barrage Trooper, you'll need no less than 12 White Dice to roll for the attack. Do you own 12 dice? Not if you've bought 2 core sets. Not if you've bought 2 core sets and an extra dice pack. You need a combined 4 core sets and dice packs to get enough dice to make a tournament legal attack. But what a roll it will be! Each die is a .375 chance to hit, and with 2 dice each you're looking at .750 damage per mini. That is 3.75 damage per attack with a full squad (and no heavy weapon). The heavy weapons are even better, and we'll discuss those later in the upgrade sections. Unarmed, the Fleet Troopers are better than your Rebel Troopers, as they have the offensive surge to go along with heir black attack dice. At .625 damage average, they're worse at fisticuffs than shooting, but they're not outclassed by Stormtroopers in terms of damage, so not the worst place for them to be, just not the best. For defense, they suffer from not a particularly good block rate, having defensive surges but only the white defense die, giving them a 33% chance to block incoming hits. They'll need cover on their approach. In addition, they suffer from the same 1 courage that all the other Corps units have at the moment, so they need a commander babysitting them. For movement, they go at a respectable speed 2. Nothing exciting here. 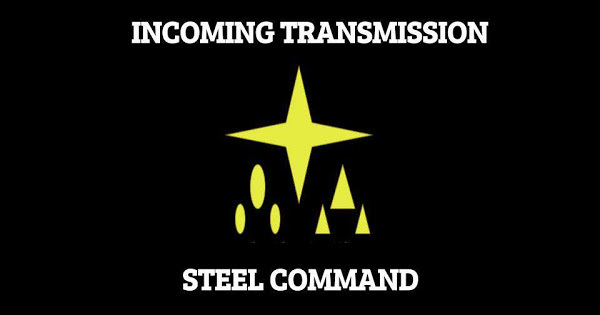 Also you get an aim token if you standby with Ready 1. Difficult to use standby correctly, but if you can force suboptimal play with it (like forcing a shot before the enemy moves) then it can be worthwhile. For upgrades, the Fleet Troopers have the standard Corps upgrades of a Heavy Weapon, a Trooper, an Equipment, and a Grenade. It's an extra mini for 1/4 the points of the unit! You know it's a good take if you've got the points for it. Range 1-3 and 1 Black / 2 White for an extra 1.375 hits on the attack. Requires an exhaust, with the Rebels not really having a great way to get free Recover actions. What is the point of taking this? 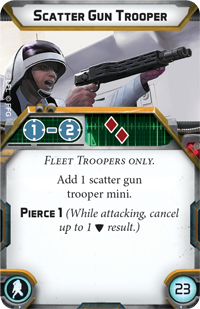 Impact 2 is nice and all, but there's easier ways to get Impact on a target - the Fleet Troopers don't even have critical surges, just volume of dice. Against a unit in heavy cover, Blast is worth 2 hits, making the effective hit increase for this weapon 3.375. 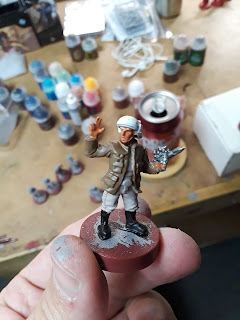 Shmitty has done the numbers, and against white die units in heavy cover, this is the best weapon the Rebels have for clearing them out, and you can do it (with the whole squad) at Range 2! 1.75 damage average at 1-2, Pierce 1. Against any attack that hits (something not Pierce Immune) you're looking at increasing the damage by the odds of rolling that many hits. This means (and Shmitty ran the numbers) that this weapon is just straight up BETTER at hitting Stormtroopers. Period. It's also good against Rebels in anything other than Heavy Cover. Yes, it doesn't do anything against Armor, but that's not why you brought these guys. They are going to HURT. 3.75 + 1.75 = 5.50 hits average. Against a Stormtrooper rolling 50% blocks, this is 2.75 average damage... but with Pierce, you're looking at closer to a 3.5 damage average. You're going to wipe a 4 man team if you catch them in the open. But you don't get Blast? Oh, it's Blast. You just have to get into Range 1. This is ironically a reduction in average damage to chuck these (.625 vs .750), so only throw 1 with your blaster shots. Sometimes you just need a way to get Impact. Worth looking into if you're worried about such things. Stormtroopers love Precise 1. Why wouldn't you, when you're rolling more dice? Combines nicely with the Ready 1. I don't feel like these guys need to get high up. Don't take. Run over barricades to get into Range 2 for that death shot. Yes please! This I feel is going to be the standard Fleet Trooper build, maybe with Environmental Gear thrown on for an extra 3 points. Charge into the fight, vomit dice at the opponent, and laugh as you wipe entire Trooper squads without them being able to do anything about it. Fight everything. Shoot armor, shoot troopers, do it all very, very well in your 2 range bubble. You're good at everything. That's pretty much it at the moment. God these guys are a pain to paint. See my picture at the top, that's all I've finished so far, aside from priming. Use a SMALL brush, the helmet paint loves to hit the coat and face. I'll do a painting guide at some future point for these guys.